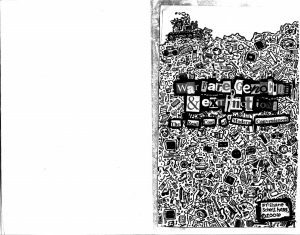 Warzone Distro A zine creating and distributing project focused on anarchy, insurrection and anti-civilization. “In order to effectively perceive and confront the problem(s) of civilization we must be able to look at our relationship to it. This relationship is framed by domestication, through which our experiences therein are controlled and manipulated. 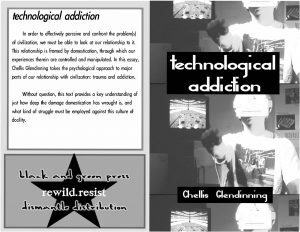 In this essay, Chellis Glendinning tokes the psychological approach to major parts of our relationship with civilization, trauma and addiction. An informational zine about the technological industrial complex, its relationship to the globalization of capitalism and the death it brings.